The Valoriani Trailer is a fully mobile and weather proof wood fired oven, ready for all al Fresco cooking situations, cooking food with a real flame giving an authentic taste and feel of the Mediterranean. 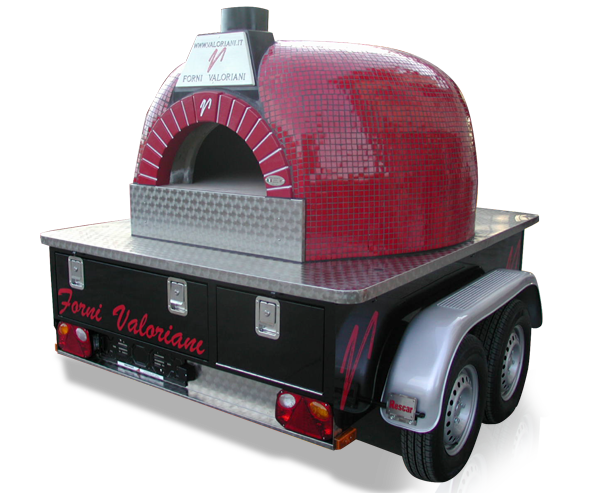 The Forno Trailer has been specifically designed to carry a Valoriani Vesuvio Igloo UK oven, Licensed by DEFRA, to maintain balance and stability that protects the oven in transit. Suitable for high volume street vending, festivals and more.